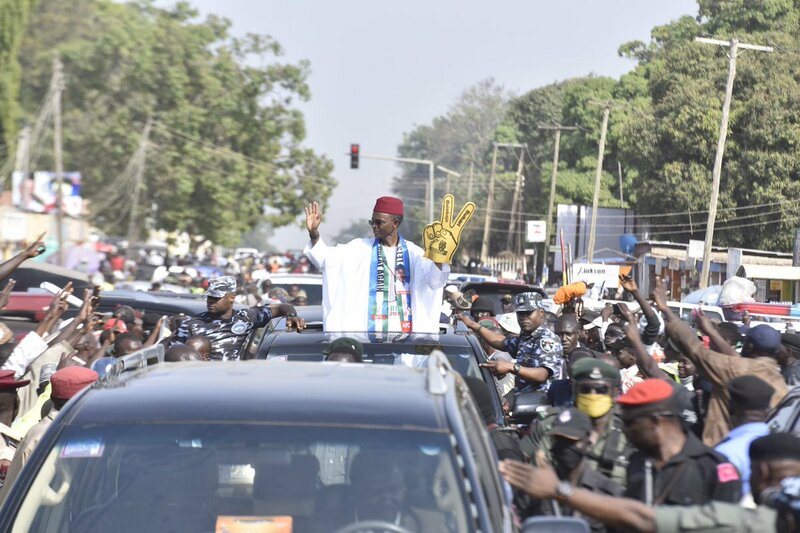 Governorship candidate of the ruling All Progressives Congress (APC), Kaduna state chapter, Nasir El-rufai on Tuesday, flagged-off his 2019 campaign, urging the people to vote for President Muhammadu Buhari. Governor El-Rufai also presented party’s flags to senatorial, house of representatives and state house of assembly candidates. El-Rufai, who launched a door-to-door campaign across the northern state, called on voters to vote for Buhari and other candidates in next year’s polls, saying his administration has taken undertaken reforms in education and health, among other sectors in the state. The governor tasked Kaduna residents on peaceful, orderly campaigns and elections, adding that he seeks re-election to consolidate on his achievements. Earlier, while addressing party supporters at Kaduna Township stadium, APC deputy national organising secretary, Muhammed Sani, called on electorate to vote President Muhammadu Buhari, Governor El-Rufai and all other 2019 party’s candidates. “The national leadership of APC is quite proud of the leadership of Kaduna state governor. We will render support to the victory of governor Nasir El-Rufai and all APC candidates in Kaduna state,” he said. On his part, Kaduna APC state deputy chairman, Alhaji Shuaibu Idris, sent a message to the opposition that there are no vacancies at the Presidential Villa and Kaduna State Government House as, according to him, the current occupants have performed credibly well and need no replacement in 2019.